One of the best parts of having a place of your own is being able to decorate it to reflect your personality and create a welcoming environment to entertain family and friends. One way to amp up the decor in your apartment quickly and easily is by bringing in some simple pops of color to transform any room into a showstopper. Are you looking for ways to add a little pop of color to your Edgewater, New Jersey, apartment? Check out the tips listed below. A few colorful throw pillows can add some personality and style to neutral colored sofas, chairs, and love seats. Choose an accent color that works well with your other decor, and pick a few pillows in different shades from that color palette. 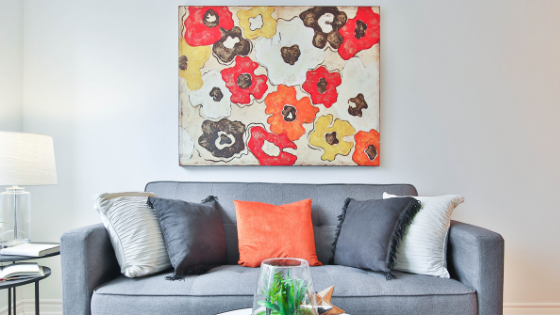 Adding artwork to your rooms is a great way to carry a theme through your apartment and also add some color to otherwise bare or boring, neutral-colored walls. Consider brightly colored paintings or drawings or large, framed, full-color photos. You can also turn your favorite colorful throw blanket into a piece of art by hanging it like a wall tapestry. An area rug with patterns of bright colors laid against the neutral carpet or flooring colors can bring added brightness to your room and help you pull in some accent colors present throughout your apartment. Flowers and houseplants that boast beautiful and colorful blooms are a great way to add color to any area of your home whether it is the living room, kitchen, or even the bathroom. The most unique thing about adding color to your home with flowers is the ability to change the colors on a regular basis by bringing in different colors with each season. If you don't have a green thumb, you can also opt for silk arrangements. If you are looking for apartments in Edgewater, to test out your new-found decorating skills, stop by Infinity apartments today to find the perfect floor plan to suit your unique tastes.